This recipe is so yummy & easy to make you guys! It’s perfect for Summer or Fall. Yesterday was our 2nd year anniversary and since it fell on a Monday, I wanted to make a special dinner for my husband when he got home from work. We tried celebrating this weekend but we’ve all been battling a summer cold for weeks! Not to mention, I’m one pregnant momma..so I made everything at home extra special. 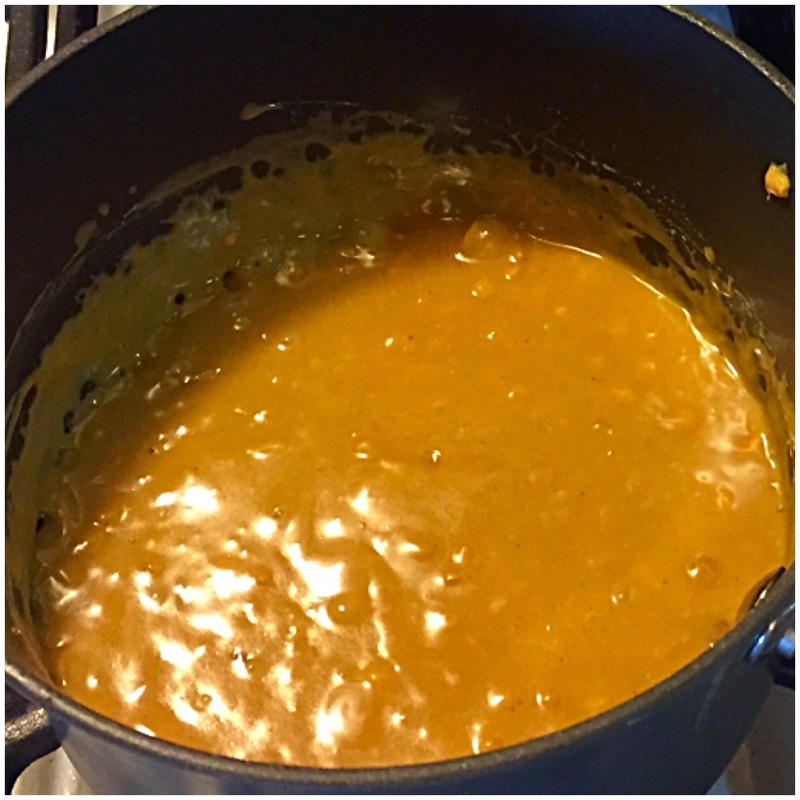 I got the peanut butter sauce for the popcorn from one of my favorite cooking shows,”Dinner at Tiffani’s” with Tiffani Amber Thiessen. I like to call it, “Cooking with Kelly Kapowski”. She also happens to be my husband’s first crush so I thought this would be perfect to make for his dessert…. 1. Pop 1 cup kernels as desired… I pop them in basic pot with a little oil of preference. But anything works here! 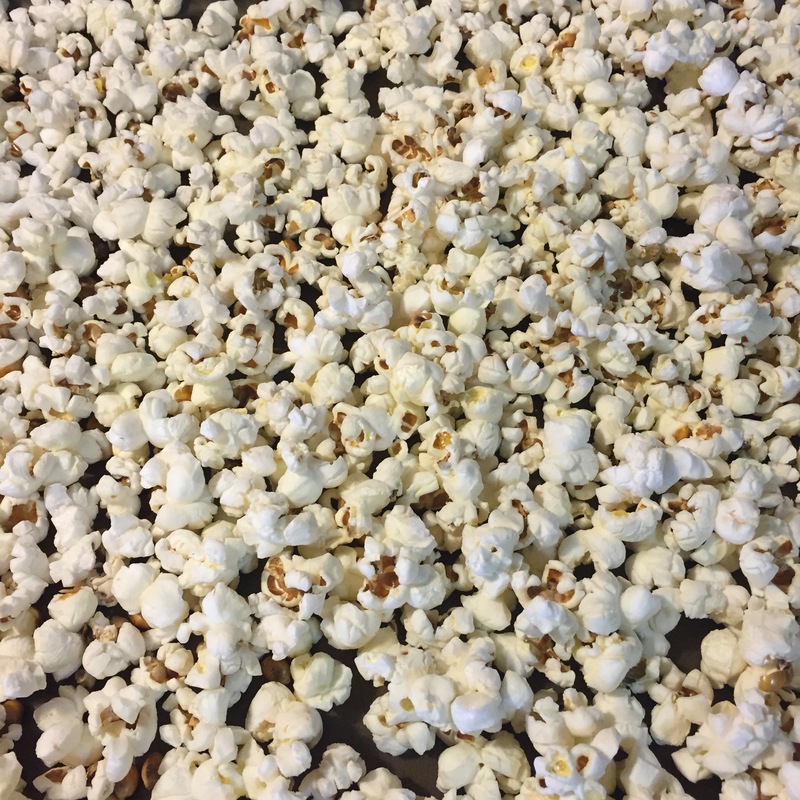 Cover a cookie sheet with wax paper and then place the popcorn in single layer on the pan. 3. While the sauce is still hot, pour over the popcorn and mix immediately till all kernels are covered. 4. 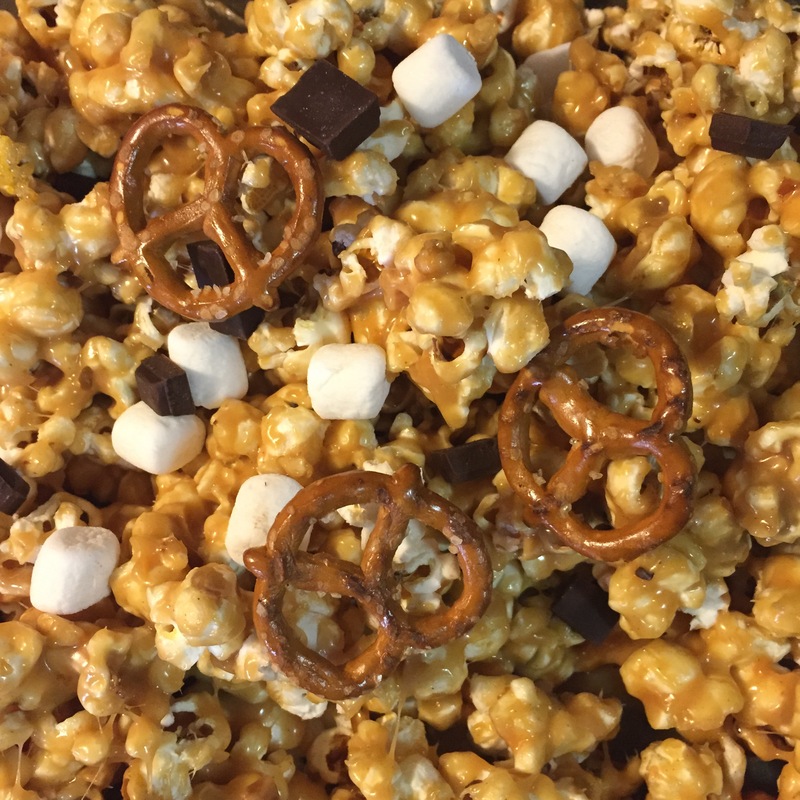 Now this is where I got creative and added dark chocolate pieces, marshmallows & pretzels. Just simply place in top of popcorn while warm or even place in oven on low temperature to melt a bit. 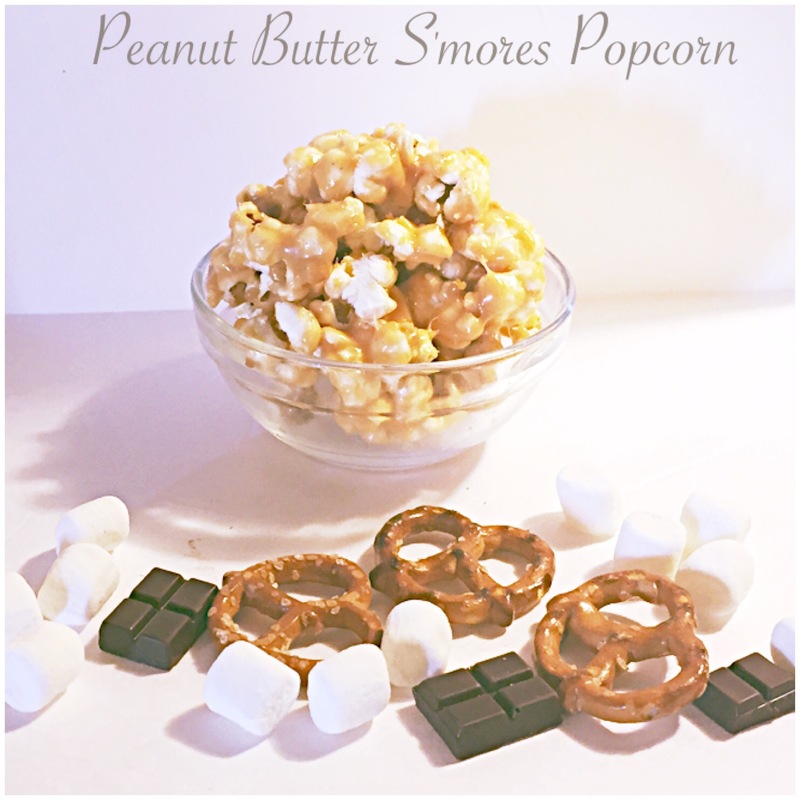 There you have it….Peanut Butter S’mores Popcorn!! I placed in tiny glass bowls to serve. The texture will be a little sticky and harden. I placed leftovers in air tight container and just break pieces off as we go for snacks.